It was an aspiration of Alec and Julia to own and operate a bed and breakfast business. It is not always easy to get finance as a “new to trade operator” so they decided to use a broker. Because Stewart Hindley & Partners specialise in the hospitality sector and understand the needs of all parties involved they decided to work with us to secure their perfect property. The property was The Beaches Guest House in Scarborough which had been operated on a limited basis as the current owners were looking to focus on other businesses they owned. 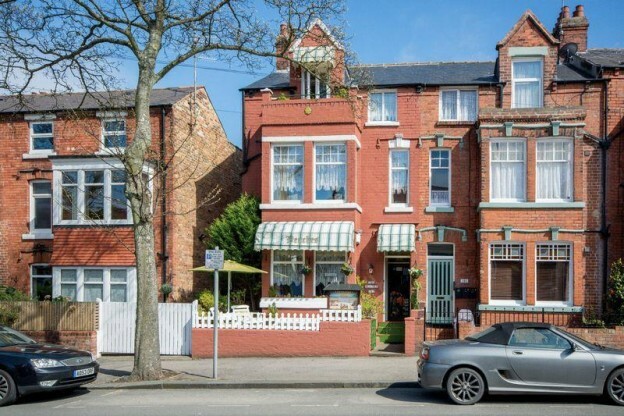 This presented an ideal opportunity for Alec & Julia to purchase a going concern with lots of potential to increase the trade and give them the lifestyle they aspired to. Because of the limited trading of the concern we had provided a comprehensive debt proposal which showed that the expansion of the trade was viable as well as providing realistic projections for the business. This was backed up with local statistics and re-profiled Profit & Loss accounts for the current trade. By presenting the information in a way that the lender can easily process it, it gives the lender a clear “picture” of current and future trading and our clients the best possible chance of getting the loan they require. The Beaches is a 7 bedroomed guest house which is located close to the North Bay area of Scarborough. It is an idea location to visit the popular, award winning Peasholm Park and is around a 5 minute walk to the North Bay, and 20 minute walk from the main harbour and beach area. From March 2016 Alec and Julia will be providing a warm welcome to guests. Look out for future innovations at The Beaches, Julia is a qualified Art teacher and will be offering courses to guests and locals over the quieter winter months. “After deciding that now was the time to make the change and do something for ourselves, and making sure the numbers added up we set about trying to get a commercial mortgage. Our first port of call was our long term “regular” bank who were less than useless, as we found were other higher profile lenders! Determined to not be put off by it, we searched the internet and Stewart Hindley & Partners were there. After an initial chat with Carol the ball quickly started to roll, and, after 2 months here we are eagerly awaiting the keys to our new lives! Carol was a joy to deal with and always at the end of a phone or an email, and Chris provided very insightful tips and information throughout.